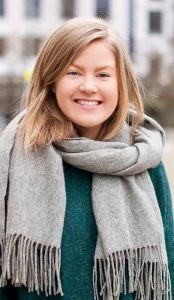 Oda Krogh Læret wrote her masters thesis on court and child protection service appointed expert witnesses’ assessments of infants suffering from neglect. Her thesis was a contribution to the research project “Legitimacy and Fallibility in Child Welfare Services”. She har previously worked as a research assistant at the Department of Administration and Organization Theory, University of Bergen ,at the “Legitimacy and Fallibility in Child Welfare Services” research project, and as a research assistant at Bergen University College for the research project “The Norwegian Child Welfare System in a Comparative Perspective”. Oda’s interests include child welfare, child protection, decision-making, discretion, experts and clinical assessments.